It is from these premises that it was born The decision to FightTheStroke To participate in the first edition of the Milan Digital Week With two free laboratories, coherent with the mission of promoting a widespread knowledge of science, technology, design, for the benefit of young people who survived the stroke and the entire Milanese community. 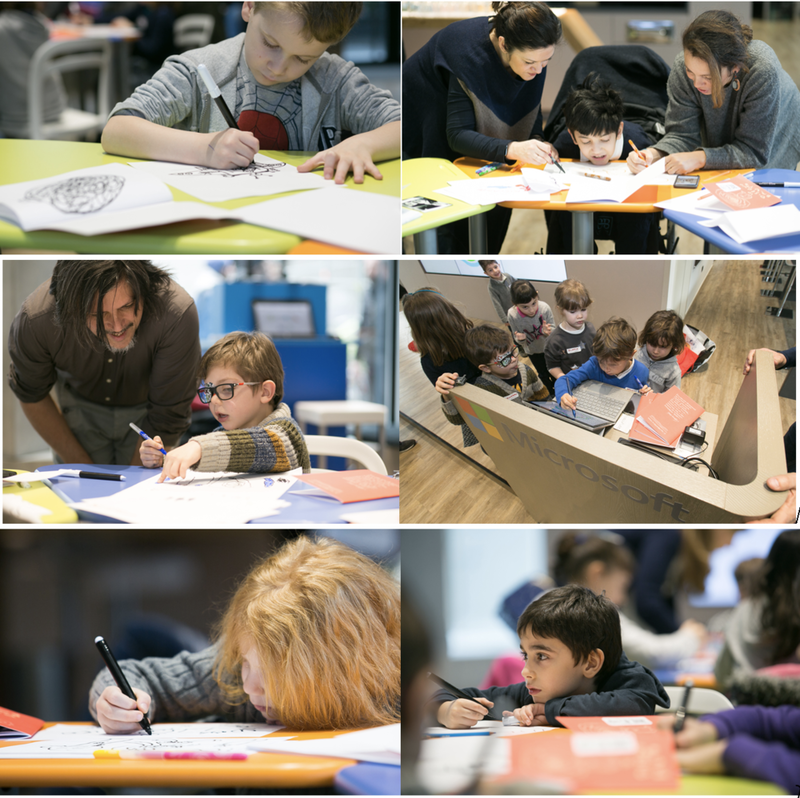 Over 100 participants hosted in the Microsoft Showroom, during the final day of March 18, actively engaged in learning new skills, from drawing to public speaking. The workshop of &apos; Bruttino Design &apos; for children, carried out together with Alessandro Bonaccorsi, promoted a conscience of non-judgement, he made understand the importance of the process with respect to the result, of the error as an opportunity (the first rule is "how is , comes "), of abstract design more than of figurative design, of giving dignity and meaning even to simple scribbles or lines. Through &apos; absurd &apos; exercises (draw a sweater seen closely!, draws the most colorful and insane mitochondrial cell you can imagine, draws the plankton) we have also given confidence to young people who are not designers, without too much comparisons but in an environment Inclusive and accessible. The afternoon workshop, aimed at young people aged 13 to 19, was organized together with Gabriela Alvarez, TED-Ed Regional Leader for Italy, with the aim of thinking together about how technology can help us to draw a world more accessible to all, Regardless of gender diversity, race or skill. Through this workshop the boys participated in an intense session of brainstorming, went from a thousand ideas to the idea that was worth spreading on that red carpet and have so built and told their short talk: all following the "Public Speaking" techniques used by "speakers" who climb on the prestigious stage of events TED, and earning the certificate of participation in a course TED-Ed. Still a way to FightTheStroke To give back to the community what was received to date and to promote a culture of inclusion in the digital world and in the physical world. To the next challenge!